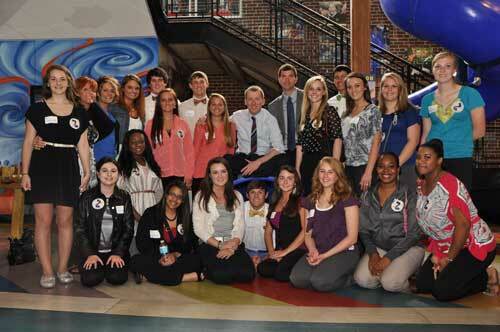 Teacher Cadet I and II students at Fox Creek High School recently toured the Ron Clark Academy in Atlanta, Ga. Teacher Cadet is a dual enrollment class with University of South Carolina at Aiken. Students completing the course will receive college credit for Education 101. The program is designed to introduce possible future teachers to the profession. Fox Creek’s teacher cadet program is in its sixth year under the leadership of program director Nancy Cowart. The Ron Clark Academy is considered by many educators to be one of the most innovative curriculum and instructional models used in education today. Ron Clark is best known as the 2000 National Teacher of the Year, frequent guest of the Oprah Winfrey Show, and author of the best selling education book, The Essential 55. Mr. Clark was a four year teacher in Aurora, North Carolina when he decided to take a job in Harlem teaching elementary school in an inner-city setting. His ability to raise test scores won him national recognition. In 2006, actor Matthew Perry starred as Ron Clark in the made-for-TV movie, The Ron Clark Story. The Ron Clark Academy is a private non-profit school that gives students opportunities for international travel and offers training workshops for teachers to learn more about Clark’s teaching methods. The school is housed in a renovated red brick warehouse that accommodates fifth through eighth grade students. Students are from low wealth to high wealth families. Clark had planned to build the school for ten years before construction began. Along with the proceeds of his two books The Essential 55 and The Excellent 11, Clark raised additional funding for the project which eventually cost over $3.5 million. The academy was established on June 25, 2007. Classes began for students on September 4, 2007. Fox Creek Principal, Dr. Tim Murph, Teacher Cadet Instructor, Nancy Cowart, and parent volunteer, Debra Butler chaperoned this opportunity for students. 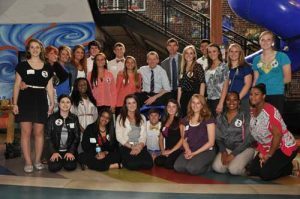 Ms. Cowart explained, “Attending and participating in the Ron Clark experience was an incredible experience for Teacher Cadets. Not only did the Cadets observe innovative, energetic and passionate teaching from the instructors, they also realized the value of manners, relevant conversation, and sincere desire to learn from middle school students in grades five through eight. Cadets saw first-hand how to keep students engaged in lessons and how to accept honest but sincere critiquing. A day at the Ron Clark Academy inspired the Teacher Cadets and showed them what a successful classroom can be and should be.” Dr. Murph told his teacher cadets that he plans to create a Ron Clark inspired classroom for 2013-2014 Teacher Cadets at Fox Creek, integrating many of the ideas that the cadets learned from this remarkable experience.